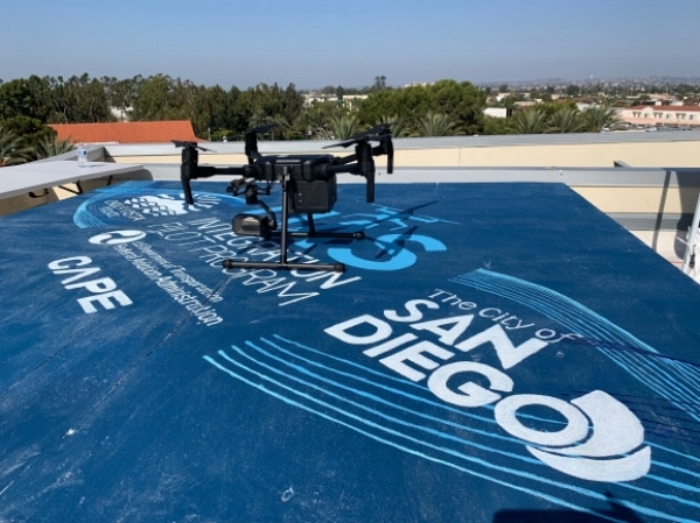 The Chula Vista Police Department will begin using Cape telepresence to launch remotely piloted drones in emergency situations. Chula Vista is the second largest city in San Diego County in southern California. The drone will not deploy computer vision for object detection, but Cape is developing its own solutions for the identification of things like people and weapons that will be released in the coming months, a company spokesperson told VentureBeat in an email. The two drones will initially work in 10-hour shifts and will be limited to operating within a one-mile radius of police headquarters, due to Federal Aviation Administration regulations. Tests of drone use by the San Diego Fire Department began in August. Just across the U.S.-Mexico border, Cape telepresence drones and computer vision is being used by police in Ensenada, Mexico. The Federal Aviation Administration’s Integrated Pilot Program includes 10 pilot regions selected in May to explore the use of drones for things like mosquito control in Florida, as well as package deliveries, public safety emergencies, and other purposes. In addition to Cape’s work, UC San Diego Health will use the pilot program to deliver blood products and medicine, and Uber Eats will use it to test out food deliveries. Companies like Qualcomm and AT&T will also participate in the pilot program to do things like deploy 5G test networks and FirstNet, AT&T’s national first responder network. Cape was founded in 2014. Investors include NEA, Madrona Ventures, and Google’s Gradient Ventures. Want to experience the power of Cape Aerial Telepresence™ yourself? Visit us at www.cape.com/demo or contact us at contact@cape.com to speak to a drone expert today!